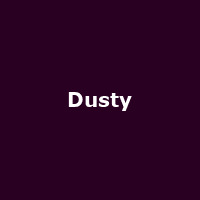 "DUSTY is a unique new multi-media "Fusion Musical". A celebration of the career of Dusty Springfield, a true innovator, this theatrical event, seamlessly combines the most up-to-date 3-D technology and digital media (some of it rare film footage only recently discovered) with a recognisable musical theatre format of live performance, music and dance. The audience experiences the story as told through the eyes of Nancy Jones, one of Dusty's childhood friends, and other key figures who accompanied Dusty on her journey."